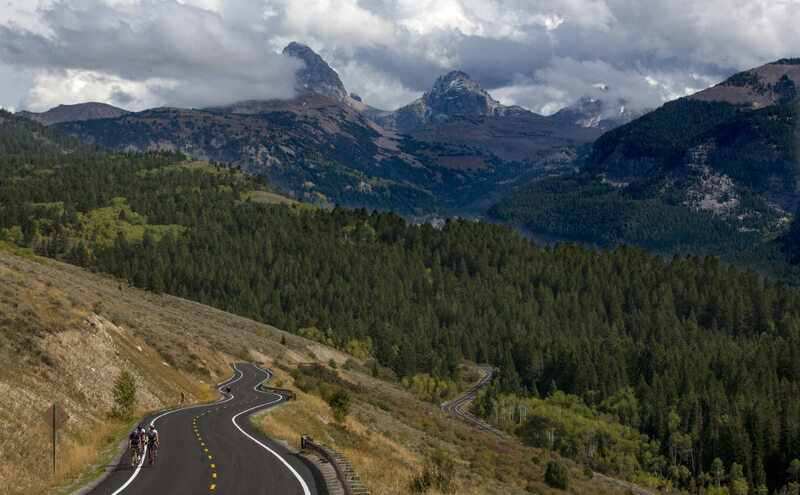 Days two and three of riding in the six-day Cycle Greater Yellowstone tour are arguably the ones you’ll remember the most. This leg has you pedaling 40 miles from Warm River to a rest day in Driggs. Once again the ride takes you through the beautiful landscape the region has to offer, but this year, there is also something quite special in store. At the end of the ride, you will be in one of the top 10 places in the country to watch the solar eclipse, a once-in-a-lifetime event that happens on August 21, 2017. A total solar eclipse is a rare occurrence and happens when the sun is completely blocked out by the moon passing between it and the earth. It’s only visible for minutes and only in certain parts of the country. Think of the trajectory like a photo of a rainbow spanning across the U.S., if you’re not under that rainbow, you’ll miss it. Lucky for Cycle Greater Yellowstone, the tour happens to run right through one of the best areas for viewing the eclipse. The sun will be blocked for 2 minutes and 18 seconds in Driggs, so there’s only a short window of viewing. Since this hasn’t happened in the U.S. in 26 years, it’s a big deal. In addition to the eclipse, there are also plenty of other activities to do on your day off. 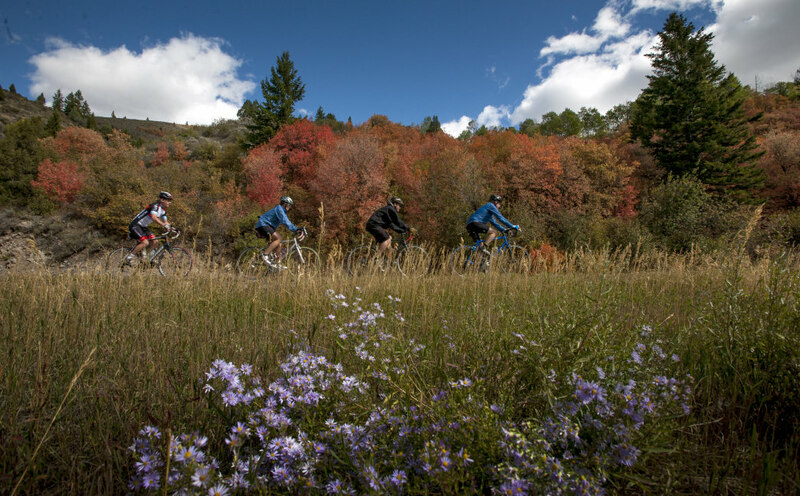 Hiking, mountain biking, road riding, and beer-drinking are all on the menu, as is simply sightseeing and maybe a little bit of shopping in Driggs and nearby Victor. Victor, only eight miles of bike path miles, is home to the incredible Wildlife Brewing and Grand Teton Brewing Company. 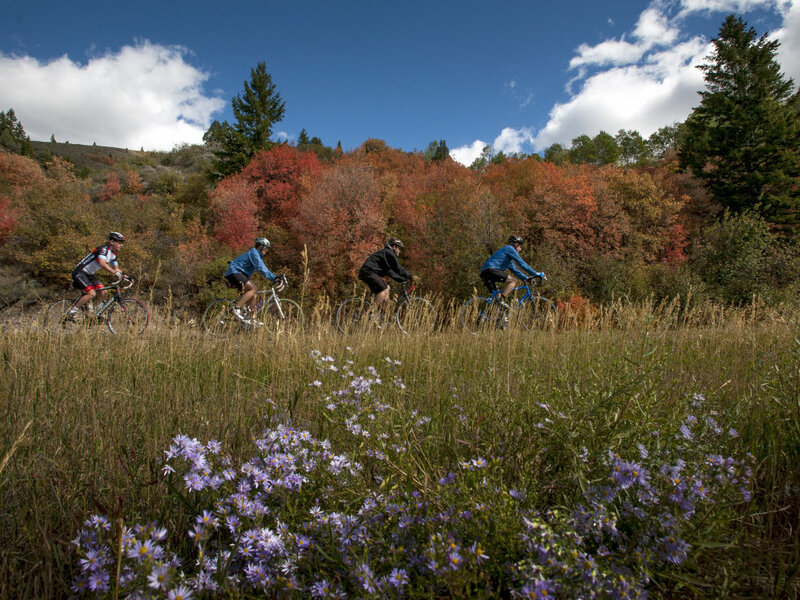 If you’re still craving more adventure and 40 miles just wasn’t enough, pedal over to Grand Targhee Ski Resort just 12 miles from camp. Once there, park your bike and jump on the ski lift for a ride to the top (or take one of the trails up if you’re feeling spry). At the top, there are tons of great hiking trails and gorgeous views of the Teton Range. Try the 6.4-mile, out-and-back Bannock Trail that walks you through aspen groves before heading into deep forest beyond the Blackfoot ski lift. The trail edges along the resort's northern boundary, and overlooks the Jedediah Smith Wilderness and northern Teton Range. It ascends 1,600 feet, so you’ll get a good hill workout in as well. The trail ends at the Summit Observation Platform and has a fantastic view. If you’re a serious hiker, try the 2.2-mile Peak Trail for technically challenging switchbacks. If you’re still feeling the need to pedal but want to get off-road, the resort has some great singletrack. Mountain bike rentals are also available. There are 47 trails on the resort designed for mountain bikers, and if you’re the ultra-adventurous type, there is some actual full-on downhilling available as well. Thanks to the ski lifts that operate all summer, you won’t have to pedal up to enjoy a few minutes of crazy fun going down the mountain’s 2,200 feet. You can also go horseback riding (if you can stand switching to another kind of saddle for an hour or two) or pull some plastic at the resort’s climbing wall. Once you have had your fill of adventure for the day and have probably worked up quite an appetite, pedal back to camp and figure out some dinner options. While you’ll be camping in Driggs, the town of Victor is close, and that’s the best spot to eat and drink. Grand Teton Brewery Company has a wide selection of brewed-on-site beers as well as local seasonal food trucks to feed hungry customers. If that’s not your idea of a gourmet meal, there are a dozen other restaurants on the main street in Victor, and nearly all of them have great ratings and reviews. For good old-fashioned American dining with a high-end foodie twist, head to Scratch, where the Barbecued Pork Quesadilla is a treat.The slow-cooked Idaho pork shoulder, magic sauce, cilantro, green onions, cheddar, and chipotle sour cream and will put a smile on your face. Not convinced? What about the Southern Fried Catfish Filet, made with a spicy cornmeal crust, purple slaw, cinnamon sweet potato fries and, of course, tartar sauce. The prices are completely reasonable—you’ll spend under $25 for a meal. If you’re craving something sweet to cap off a long day on the bike, Victor’s Emporium has insane ice cream. Their huckleberry milkshakes are the stuff of legends. 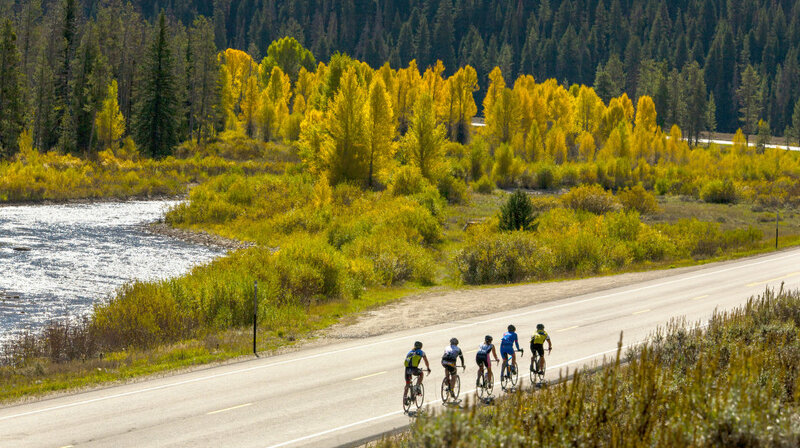 Day 3 offers more time at the Grand Targhee resort or you can also opt for a 50-mile ride with the group if you are up for adding more mileage to your already heavy week. You can take advantage of the downtime to rest up for the hilly ride coming up on Day 4. Originally written for Cycle Greater Yellowstone.